The reason I’m bringing this up, is that the heroine, Amira, isn’t just an arab girl who happens to be from Iraq, she is portrayed as a hijabi girl in the movie. A hijabi girl. Playing the lead. In an American movie! Now I don’t know how many times you guys have seen a movie like that, but I really haven’t. I came across the trailer for the movie a while back, and even though there were some things that I particularly didn’t like about the way the hijabi girl was portrayed, I was still excited to see the movie. Unfortunately for me, the movie isn’t playing anywhere near me in theaters so I will have to wait a bit before I get to see it. Why was Amira sleeping with her hijab on? And before, I would always think, why would they think I sleep with it on? But now if someone asked me that question, I would think they saw this movie and that’s why they were asking. Would you watch the movie? Is there something you wished they’d done differently in the movie? This is the first time I’ve seen a ‘hijabi’ woman portrayed having a lead role and in a positive light. Despite the obvious inaccuracies in the Islamic sense (intimate non-married relationships, etc.) I think this could be the first step to breaking the Islamophobic mindset so profound in the Western world. 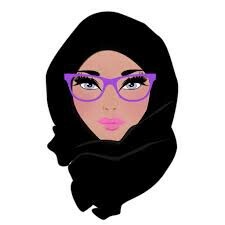 So many people view the hijab with such suspicion that they make blatant assumptions. I’d watch it because it is a headscarf wearer, and it talks about key immigration topics. BUT I am appalled by the portrayal of the intimate non-marital relationship, her revealing clothes paired with the headscarf, etc. Anyways. Hollywood just doesn’t know how to portray observantly religious people. I would never watch it. The Prophet Muhammad SAW said that before the Dajjal the campaign for the corruption of the women would begin. It has begun and sisters are falling. Yes, but you’ve failed to understand what it means. It means the majority will be taken away from the straight path. Isn’t that what we see today. Medias encouraging muslim women to break the “chains” off, etc.